Sure, Microsoft expects Windows' installed base to top 1 billion licenses by the end of this year. But in the shadow of Windows Vista, a rather remarkable trend -- known as an InstallFest -- continues to transform Linux from a fringe desktop option into a mainstream Windows alternative. Here's the scoop. Sure, Microsoft expects Windows’ installed base to top 1 billion licenses by the end of this year. But in the shadow of Windows Vista, a rather remarkable trend — known as an InstallFest — continues to transform Linux from a fringe desktop option into a mainstream Windows alternative. Here’s the scoop. Consider the situation in Northern California, where volunteers will work on March 1 to install Ubuntu Linux on hundreds of salvaged PCs that will be donated to local schools. The Alameda County Computer Resource Center and Untangle (an open source security company) are among the event’s organizers. InstallFest marries unwanted hardware with community activists to empower our kids in schools. This isn’t a unique event. Similar InstallFest events happen regularly around the United States and are frequently backed by local Ubuntu user groups. Hmmm. The VAR Guy can’t help but wonder how many Windows evangelists would spend their weekend trying to install Vista on aging hardware for school kids. Even on new PCs with a full gig of memory, we all know Vista doesn’t earn passing grades. In stark contrast, Fife notes, Ubuntu Linux offers a great user experience — even on legacy hardware. The InstallFest systems will also gain FireFox, OpenOffice and Untangle’s security software to shield school kids from the Web’s darker side. For Microsoft friends and foes alike, this latest InstallFest shows how passionate community members continue to transform open source from a fringe solution into a mainstream option. 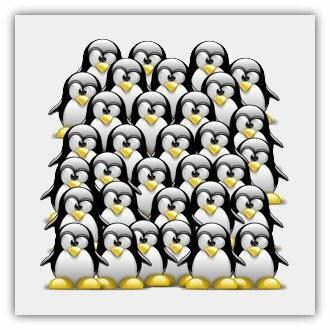 Heck, even some Mac users are making the Linux move. In the ultimate irony, Windows may reach the masses, but Linux may be more inclusive when it comes to reaching low-income communities. For daily coverage about Ubuntu Linux, check out our sister Web site: www.allaboutubuntu.com. These Linux articles that talk only about Ubuntu really annoy me. everything Ubuntu can do any other Linux can do, and sometimes better. Face it folks, Ubuntu is a poster child for Linux. It works and it works well. They’ve done a great job of building a community around their distribution and making it all work, even staying fairly cutting edge. Yes, Fedora, SuSE, Mandriva, and even DSL (okay, and PendriveLinux, can’t forget that one) are all wonderful in their own way. But in many ways, it’s not how good the product is, it’s about how well it’s marketed. Will any of the other listed distributions send you out professionally-published CDs to install and share with friends? I know you can work with the developers and founders of virtually any distribution and virtually any piece of open source software used in those distributions, but how many have the marketing savvy to get shipped preloaded on a major computer manufacturer’s computers? I can only think of two, and only one of those will ship me free CDs. I completely agree regarding the Ubuntu comments. If I’ve read once, I’ve read a thousand times, how “easy” it is to install. I’ve tried, unsuccessfully, to get a satisfactory Ubuntu install for nearly three years…with several versions. I’ve yet to attain anything successful. During that same time, I’ve successfully and happily installed and used several versions of OpenSUSE, Fedora and Mandriva. I’m not talking about one one…but numerous hardware combinations, including my laptop and four desktop systems I personally use. You want easy to install? Mandriva 2008…the KDE or GNOME version of Mandriva ONE, is as easy as anything I’ve ever found. A couple of mouse clicks and wireless is working, Nvidia video is working…and the sound and video codecs are there. No, it doesn’t get any easier with any other distro I’ve ever tried. As pointed out, most any Linux distribution will do anything Ubuntu will do, as well. And, it might be nice to point that out in articles, but Ubuntu gets the publicity….the “poster child,” as mentioned in the comments. Meanwhile, those of us outside the Ubuntu circle can only suggest that new users try different distros and find one that’s easy for them. There are a lot that could be said about the misleading hype that ubuntu is user friendly or perfect for new Linux users. Heres something to think about. Because of all the paid for hype surrounding ubuntus supposed user friendliness. How many new users do you think tried ubumtu And went back to windows never realising there are many functionally superior and much more user friendly distros available? Its a sad thought that all the ubuntu hype may actually slow the increase of new Linux users. Another advantage to Linux from these InstallFest events is that the schoolchildren using these machines will have gotten used to the Linux OS and open source software and hopefully will continue to use it in their lives after graduation. This will help growth and adoption of open source and give Microsoft more competition in the marketplace, which is good for everyone. Commenter 2, 4 and 5 seem to be completely missing the point of this article. This is not about which distro is better or which can do what. This is about two VOLUNTEER organizations that are going to load Ubuntu onto throw away PC’s and then give them to schools. Try reading, its your friend. The choice of which OS they are using is completely besides the point here. Instead of crying about them using Ubuntu, why dont you get involved yourselves in these InstallFest’s and then you can load whatever distro you want. Typical Linux nubs whinging about the Ubuntu people taking action to give Linux more public awareness instead of actually doing something themselves.. gasp! Thank you, #7 (Davemc). This is about volunteers empowering kids , and the fact that this seems to be a core component of the open source movement. @8 LUGs have been doing similar things for years and they are not exclusively Ubuntu users but a broad spectrum of Linux users of all flavours. Installfests aint nothing new but this seems to make out that it is only ubuntu users who do it. Everywhere you turn the poster child is getting the write ups and being equated with linux. Ubuntu isn’t the only linux and it isn’t the easiest at all. I’ve used it but now I’m beginning to hate what it seems to stand for. SuSE was good until Novell, Ubuntu was good until the Forum became too big. I think there are more “haters” there that should stay with M$, then die with Vi$ta. LOL! I run Linux Mint. Which is .deb based as opposed to .rpm. I got tired of “Dependency Hell”. I admire what Ubuntu has done, but prefer to look around. As is, I do Sites, Forums, and Blogs about Linux. All using Linux, any flavor, using – most importantly – all those great open source applications. They are the great factors running anything Linux! The endless bickering of who is better than who or my dad can whoop your dad is getting increasingly tiring. So much so that I mark all the feed updates from Linux Today as Read. In my opinion the community is becoming it’s own worst enemy. I agree Ubuntu has a great marketing campaign, and I also agree that empowering the youth of today with the tools they need to become successful adults is incredibly important. I applaud this group for taking time out of their lives to take on these tasks. Ubuntu, Fedora, SuSe or whomever as long as it is getting done. I thought when I joined the community that I selected a distribution that worked for me not based on a popularity contest. My experience is totally opposite. Over last five years I’ve successfully installed Gentoo, Debian, Ubuntu, Fedora, OpenSUSE, Mint, Arch, Slackware and PCLinuxOS. There were some tweaks needed, but overall all of them worked on my, my family and my friends’ hardware. bitterness. However, if you haven’t reported your problems in form of the bug report, haven’t discussed them in forums or IRC – then how do you suppose the Ubuntu creators will know about them and fix the issues? Ubuntu, Fedora, *SUSE, like most of the Linux distros, are community efforts. Help building them and you will feel the power. The power of many people. If you want, you can contact me personally at siryes [at] NOSPAM gmail [dot] com. Maybe I will help you get the Ubuntu running – if you still want to compare it with other Linux systems. Some users had problems with Ubuntu and not other distributions. But that’s their case. For me it was the opposite. I tried several, and Ubuntu was the only that really worked fine for me, and the one that people around me use. Is it possible that if Ubuntu is popular is because it works fine for ‘most’ people? That doesn’t mean there are exceptions. I believe promoting your favorite distribution would be more useful that complaining about others. And of course, the news is about community activists and children, and people doing something together, which is something beautiful. Like a few already said, it’s a bit annoying that these writers try to make Ubuntu a synonym to Linux. The topic said something about “Linux’s Passion” but the whole article continues to talk about Ubuntu. I don’t use Ubuntu because of Gnome which is too restricted and the KDE version (Kubuntu) is a shame and scandal when compared to other KDE based distros. If they would improve Kubuntu so that it’s as good as PCLinuxOS or openSuse then I might even consider giving it a chance as my main OS. Ubuntu is simple over hyped and not better than the other disstros out there that all use the LINUX KERNEL. What should be promoted is Linux independent of whatever distro meaning that people should be able to choose a distro even at this InstallFest. I am happy when Linux is installed on a PC no matter which distro is used but I don’t think it’s good to mention a particular distro in almost every article that one reads about Linux. why debate on who’s the best distro. arent you aware of the word flavor? this site talks about ubuntu because it is their sister site — it is clearly stated in the post. I guess we don’t want mainstream Linux after all. Some of you need to wake up and realize that 100 distros are not going to make it main stream…possibly not even 5. People complain about multiple versions of Windows and you think 10 distros of the same thing is going to be any better. The fact of the matter is that you are going to have 1 or 2 distros that may break into the mainstream which will be good for ALL distros. For whatever reason Ubuntu has been able to do that. It doesn’t matter if your distro can put your pants on for you in the morning. When software makers start paying attention to Ubuntu or WHATEVER and building software for Linux then ALL distros will benefit. And to be honest sometimes I can see why Ubuntu has taken the lead. I use Ubuntu for desktop and laptop and used to have Fedora as a server. When I would search for a solution for Fedora 7/10 times I would find the solution on the Ubuntu forums via a google search. This type of stuff ends up drawing people to Ubuntu. Why not just use it since thats where you find the answers. You can’t be mad at them for having a community that seems to be way more active then that of the other distros or even general linux. If you want that type of hype for your distro then be willing to answer all the noob questions that come in. Phil: You hit the nail on the head. Multiple Linux distros is great for customer choice. But when it comes to mainstream consumer success, the fastest-way to success will involve a few distros competing for mind share or market share. TheVARguy certainly doesn’t mean to suggest that Ubuntu is perfect or better than other distros. Rather, he points out that Ubuntu is gaining critical mass. Bringing up new generations of *nix users is, in my opinion, the most important point of these install-fests. Let’s face it, once you become familiar with any *nix, moving on to a different *nix (including Solaris, fwiw) is merely an issue of learning a few minor differences. Keep up the good work – more *nix users, re-use of old machines that would otherwise be hazmat piles and helping schools – hard to imagine a better act of altruism. Ubuntu does equal Linux. However, Linux does not equal Ubuntu. The same for Fedora, Suse and others. That’s how Linux works. I half expected someone to gripe about no one mentioning GNU!!! The article mentions Ubuntu because THAT is what was USED in THIS situation. If they had used Fedora the article would be the same except with Fedora all over the place. SO WHAT!!! Linux is being propagated that’s all that matters. I do not understand why there is so much hate about Ubuntu. If you do not like it, use another distro and help to promote that distro. Personally I use mainly PCLinuxOS and Ubuntu. While I find PCLinuxOS easier to install, more “Windows” like, and features packed, I tend to use Ubuntu more. Why? The community! As Phil above has already mentioned, you almost always get an answer for your problem when you do a Google search, and if not, post your question on the Ubuntu forums and you will be swarmed by answers! Very seldom you receive elitist comments and got yourself disheartened; instead encouragements are everywhere. The receivers would then very likely to reciprocate by being nice and helpful to others. Though as a beginner, I spend at least 1-2 nights per week, log into the forum and see who I can help with however limited knowledge I have to repay the kindness that I have received. That’s the power of the community! There is a slight disadvantage if someone does this in the UK; for every Personal Computer you donate to the school (with Linux or any other operating system on it), the school has to pay an annual licence fee to Microsoft. The school’s Microsoft licence is for the ‘whole fleet’; i.e. if you have 300 computers, but only 200 of them run Microsoft Windows and/or Microsoft Office, they have to pay for 300. This makes it pointless to engage with a school, despite it being technically easy to do so. You do better to stand outside the school gates with a cake-tin of Ubuntu CDs and give them to the kids as they go home. 200 computers but charged for the whole fleet?? Really? That is so absurd. I thought MS would be more careful with its pricing and product marketing due the heat it’s received in Europe. I’m not sure I understand all the ubuntu hatred. I hate when people from the gnu/linux community start taking the, “mine is better than yours, and my sh*t smells like roses”, childish behavior that one usually associates with macheads. If it’s not your cup of tea, that’s cool. But no one can deny that Ubuntu has done great things for the gnu/linux community. So what if Ubuntu is always in the news. Lot’s of my friends would not have even known that there is an alternative to osx and windows if it weren’t for ubuntu. In my case, Ubuntu introduced me to gnu/linux. I had been hearing about gnu/linux for ages and I tried several times to install it, unsuccesfully. I tried Red Hat (before Fedora was around), I tried, debian, and slackware and several other distros. With each failed install I gave up, until my curiosity would return. Then I after hearing all the hype around Breezy Badger, I tried it. It not only installed easily, it got my screen resolution right. Because of the things I learned from Ubuntu and it’s friendly community, I was able to try and install other distributions. First it was Kubuntu, then xubuntu, then fedora and then a slew of other distros. I no longer use Ubuntu, but I have two main computers I use everyday for work purposes. One has Freebsd which I like a lot, and the other has Fedora core with KDE at the moment (will probably be switching to pclinuxos at the end of the month). I also use xp virtually on my Fedora box, because there are still programs that I need, for my work. But I love Ubuntu and I am always grateful to the Ubuntu community for providing me with the path to gnu/linux and to unix. Thanks to Ubuntu, I was able to go from being someone who could even get gnu/linux to work, to being someone who is using Freebsd and fedora on a regular basis. And even though I don’t have Ubuntu installed, I still find many of the answers to my questions in the Ubuntu community. I also, installed Ubuntu on my 80 year old mother’s computer and my sister in law’s crappy celeron laptop with no problems and as a result, I don’t have to make the monthly house calls to clear their computer’s of all the adware and virus that accumulates on non-computer savvy users windows boxes. In fact I’ve rarely had to answer the, “this isn’t working”, questions from them anymore. So when you guys are putting reporters down for using Ubuntu as an example, just remember that Ubuntu provides a great entry point to gnu/linux for many people and that Ubuntu is largely responsible for several big computer manufacturers shipping computers with pre-installed linux. And thanks to their work, the Ubuntu community and developers have lit a fire under the behinds of many of the other gnu/linux and bsd distros, forcing them to concentrate on user friendliness and promotion! It’s pretty safe to say that all this hype that Ubuntu is getting, is largely responsible for the huge number in gnu/linux adoption. And one more thing, the term Linux means nothing to the average computer nube, it’s a cloud. If you think that Vista’s 8 flavors, is confusing to the average person, imagine what the shear number of gnu/linux distros must do! One or two distros have to be the poster-child to make sense out of the madness for the first time user. Ubuntu is perfect for this and can provide the entry point for the average person to the wonderful world of foss. Indeed, this DOES NOT work!… not yet. So I can compare. And I assure you M$soft worths the money: it is REALLY agile!